As fans of audio content in general and audio drama specifically, we don't mind investing a bit of money to hear some great programming. But it's a nice surprise when someone puts out a production that is of great quality for free. We have recently found one such production and wanted to share it with you. 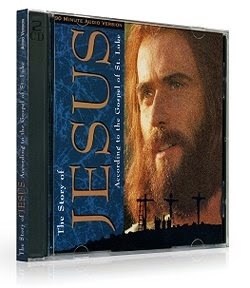 The folks behind The Jesus Film have also created an audio drama presentation. It is an adaptation of the Gospel of Luke called The Story of Jesus. You can download this program for free by clicking the link below. It is available in dozens of languages including Spanish, Hebrew, Hindi, Japanese, Russian, Greek and Mandarin, to name a few. Download The Story of Jesus for FREE!